Making CPAP therapy more convenient, comfortable & efficient ~ After your physician has appointed whether you need to wear an APAP, CPAP or BiPAP for your therapy, you have plenty of accessories available that can help personalizing your device and make your therapy even more comfortable and efficient. Air humidification supplies-patients struggling with a dry nose or congestion problems can benefit the most of their CPAP therapy if a humidifier is attached to the APAP, CPAP or BiPAP device. The humidifiers will add moisture to the ambient air, so the air becomes less drying to your noise or mouth. Nasal congestion and runny nose are issues which appear when the air is too dry and your system begins producing more mucus. You can opt for a cold water humidifier (Passover) or a heated humidifier which is even more efficient since it heats the air and allows for more moisture to be created. 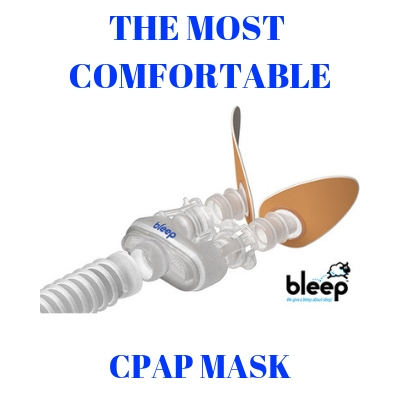 Tubing supplies for the APAP, CPAP or BiPAP machine – a flexible tube is the accessory which connects the CPAP therapy device with the mask you wear over your nose, mouth or nose & mouth (full face mask). Whenever this flexible tube shows signs of damage it needs to be replaced for the therapy to be performed in optimal circumstances. If the CPAP, APAP or BiPAP machine is disturbing you because it is too noisy, you can resolve the problem by purchasing an extra length flexible tube and move further away the machine from the bed. There are also several sleep suspension tubing systems available which help keeping the tube from obstructing your sleep. Sleep Comfort Care Pads- these flexible, soft and comfortable pads help if you experience discomfort by wearing your mask. These soft care pads will act as extra comfortable cushions between your face and the mask. The care pads do not contain silicone or Latex, so they are extremely gentle with the skin. The pads also help offering perfect seal, so mask leaks are avoided. Special wipes & cleaning solutions- Dust, dirt and allergens can build up on the CPAP, APAP or BiPAP machine and on the mask and for proper sanitation you need to clean your devices with these special solutions. Pre moistened wipes make cleaning and sanitation of your CPAP equipment extremely quick and easy. CPAP, BiPAP or APAP special Pillows- designed to offer maximum comfort during CPAP therapy. The pillow helps maintaining the mask in place, and it also helps avoiding mask leaks or pressure points. The non-allergenic, memory foam pillows with carved out design at the sides will ensure an even more comfortable sleep while having to wear the CPAP or BiPAP mask. Adjustable Chin Straps- these straps represent an extremely important accessory for patients who are used to sleep with their mouth open, and find sleep discomforting while wearing a CPAP mask. The chin strap helps keeping the mouth closed during sleep, and thus the patient can enjoy maximum benefits from the CPAP therapy. The chin straps also help avoiding mask leaks.